Howard Garrett, Consultant on the project. Jason Hartley, Community Relations for the Health Science Center. 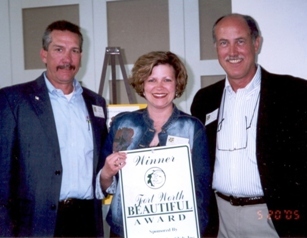 The Garden Club Beautiful award was given to each recipient and it may be displayed at the award winning location indefinitely.